Just last week I placed a bid on a lovely camera: a Pentax Auto 110. This small but very well built camera is the cutest and tiniest SLR I have ever seen. When I won the auction I started preparing for its arrival: buy some batteries, order some film, find a developing reel… And that’s where I ran into trouble! As hard as I tried, I couldn’t find a reel to develop 110 film, anywhere! So I had to pull up my sleeves and get dirty. When I bought the Pentax Auto 110 I didn’t realize it would be so hard to find a developing reel for this small format film. But since I had been developing all my own film for the last two months, B&W, color, 35mm, and 120, I had no intention to return to my old ways and drop it off at the lab. Surely there was a solution out there. Truth is, there are a couple of options, but none turned out in my favor. First, there is the Yankee Clipper II tank. This tank comes with an adjustable reel that will take 110 film. Problem: it is out of stock. By a stroke of luck I found a second hand tank in the US, but the incredulous shipping fee didn’t make it a feasible option. Second, I was told the older version of the Paterson system, the Paterson Universal 3, also comes with a reel for 110. Problem: they have been out of production for decades, and waiting for a used one to pass by on an auction site would take forever, so again, not an option. Third possibility: it appears there are some stainless steel reels out there. Problem: this reel wouldn’t work with any of my developing tanks. So I got left with the least desirable option: if you can’t buy it, you make it! Looking for online instructions on how I would best approach this led me to this tutorial. Though the basic idea was good, start from a normal Paterson reel and cut it down to fit 110, the outcome presented looked a bit like a brutal hack job. The reel was glued shut, fixed, no more possibility to open it up and carefully remove your freshly developed film. You have to size down the tube to 12mm (or as close to that as possible). To make things easier I put some red tape around the tube at the correct distance and used a fine metal saw to do the cutting. When it’s done, you can sand down any sharp edges. Don’t throw away the piece of tube you just cut off, you’ll need it! The piece you need to remove is the small triangular shape that serves as a stop when closing the reel. Look closely to the before and after pics below. The idea is to keep the reel so that it can be opened and closed, therefore no glue can be used. Instead we’ll use the small tube we just cut off. If you look it the inside you’ll see the structures used for locking and unlocking the reel. Those can still be used, just on a different position on the tube. The smallest diameter tube has 3 positions for these structures to lock in to: close to the base, somewhere halfway up, and at the very top. That’s where we want them to be. So flip the tube so that the locking structures are up and slide it down the smaller tube (this will only be possible if step 2 was done right, if it doesn’t slide over the thinner tube locate the obstruction and cut it away with a knife). In my case, the tube was 2mm too high for the locking mechanism to take. So I sliced away thin slivers of plastic until it did take. A good sanding might also do the trick. If you have trouble understanding what I just explained, take a good look at the pictures below and it will become clear. That’s it, you’re all done! Just put the pieces together and your good to start developing 110 film! To prove to you all that it works well, I did a little functionality test. Check out the video! dasho23, adymel, lizkoppert, bangkokhoyt, akula, ser2173, davezula, qlamerand, skyder, aguillem, istionojr, djw, rik041, laxgoalie34, biondapiccola, cryboy, xgitte, hapticlight, buttonmunch, cansuu, wendyraeann, stouf, atria007, minchi, maria_vlachou, desibel, shoujoai, muhamad_haiz_shamsudin, muchachamala, jutei, vicker313, vgzalez, stratski & ck_berlin. Have you started developing yet? I recently modified this same spool for 110, but somehow my film doesn't get coverd in chemicals properly when I use it. (See www.lomography.com/homes/stratski/albums/1957339-110-develo…) Perhaps it's because I usa a Jobo Autolab, and I should try developing by hand... I''m interested in yoyr results. @stratski I have been on the look out for another pentax auto 110, which I adored! Found one in the Netherlands but the owner won't ship to Belgium :-( Any other great little 110 SLRs out there I should know about? @sandravo: Bummer! Keep looking, I'd say. I got mine by coincidence at a local flea market I happened to pass. My girlfriend bought the Pentax 110 yesterday too - such a cute camera! We'll check if our local laboratory develops the films, and if not, we really need this tipster <3 thanks for sharing! @shoujouai It's cute but it is so real! It doesn't feel like a toy but like a real SLR! Loved how easy it is to focus! I need to find a replacement!!!! @maria_vlachou Awesome that you tried it out! Even better that it works! Just a tip to make opening and closing a bit easier: the small piece of tube can be slippery when it's wet, so keep a rubber band or one of those rubber bracelets (like the live strong bracelets) nearby. The rubber gives you a very good grip. @atria007 Here you go my friend, the article that goes with the video: how to make your own 110 paterson reel. Great! I have a Paterson System 4 tank too and I will use your method to develop 110 films! Just a belated thank you for this. I had some spare older Paterson reels. They don't have the triangular stop but otherwise the whole procedure worked for these as well. I made one of these following these instructions. It was very easy to do, and it works great. Thanks! Elegant solution! I went on a similar search after buying a Minox, and settled on taping the subminiature 9x11 film, emulsion-side-out, to the backing side of a strip of developed, fixed, washed and dried 35mm film, winding the 35mm film with its piggyback attachment onto a stainless reel, taping the free end of the 9x11 to the 35mm strip after it was rolled onto the reel, and developing it in a 35mm tank as usual. Sure, it takes 8oz of chemistry, but so little of it gets exhausted that you can develop a second or third roll in it. And if you're playing with this stuff, wasting a few ounces of developer won't keep supper off the table. I'll do the same when I get up the nerve to cut the index arm off if a Minox 110 so that I can run single-perf 16mm movie film through it. ATTENTION!!! Read this -- this mod is EVEN EASIER with the latest version reels. If you have the latest JOBO reels, all you need to do is to cut the bigger diameter tube, sand it a little bit, and that's the only modification you will need. It will even snap back into the locking mechanism of the thinner tube without additional mods. My guess is that Jobo simplified the reel design and delivers every 35mm reel INCLUDING the 16mm film lock mechanism. This is awesome. I was pleasantly surprised to find this even easier. Ready to develop Tri-X 16mm now, shot with my $6 mint Minolta 16 P. :) Message me for pictures. I will also post this on my flickr. 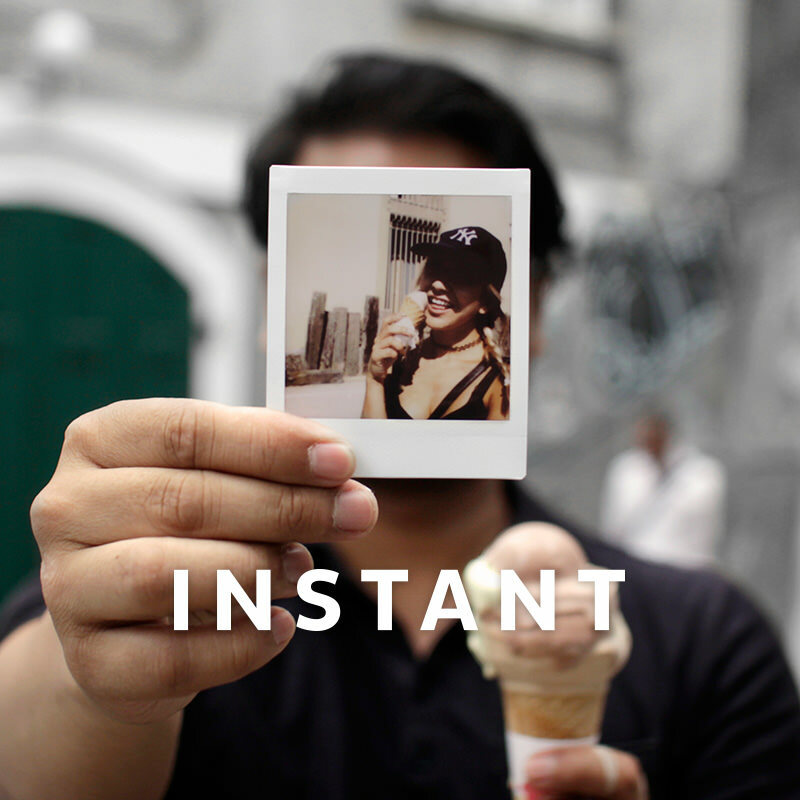 Last year @systemdevice started a print exchange project within the Lomographic Community. Read more about the participants' experiences and thoughts about the project... and maybe you would also want to participate in the next print exchange?